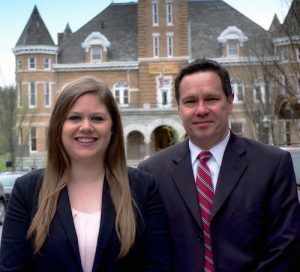 Fayetteville Criminal Defense Lawyer | The Hudson Law Firm, P.L.L.C. When you choose to work with us, you can have peace in knowing your case is not only in capable hands, but your case is being diligently prepared in an effort to achieve the best possible outcome. With a combined 32 years of experience and dedication we will be there to guide you every step of the way. You will be treated with kindness and compassion as we strongly defend your rights in the courtroom. Our attorneys work with clients in a variety of misdemeanor and felony offenses. 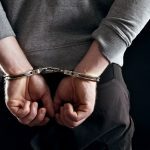 The links on this page will take you to our blog posts discussing various topics of Arkansas criminal law. Although these resources can provide good general knowledge, each criminal case is unique. We encourage you to contact us to discuss the specific details of your case. Learn more about your options by contacting a criminal attorney at The Hudson Law Firm today. Give us a call at (479) 443-1812, email us at info@hudsonlawfirmnwa.com, or send us a message below. We proudly serve clients throughout Fayetteville, Arkansas and other surrounding areas in Northwest Arkansas.